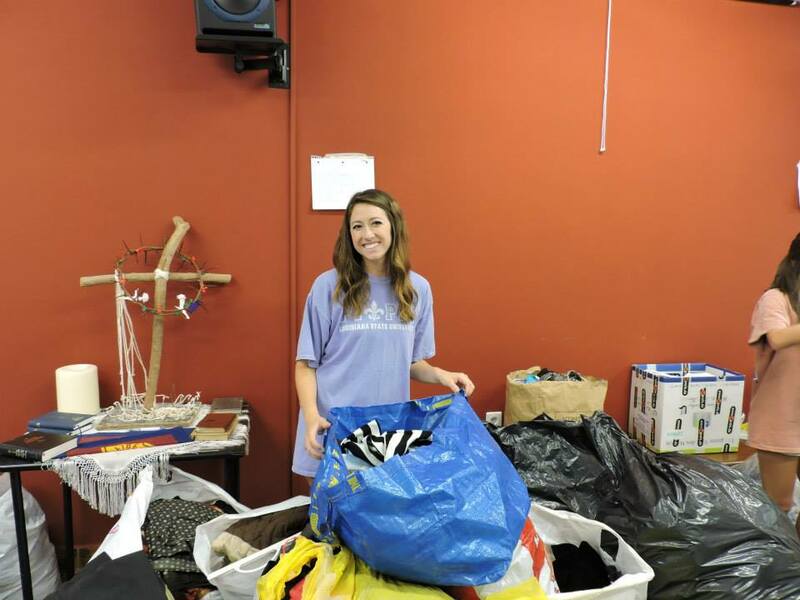 Diana Rose, a senior at Louisiana State University, shares her service experience in Greece and how meaningful the projects are to those in the community! Maria, a founder of the Salvation Army in Athens, shared this with us as we sat down to begin our service week at the center. As we moved boxes and organized clothing it all came together that any small effort is worth it. Sometimes service can seem surfaced but it was very evident that this Service week is not that. Maria informed us that those boxes we organized were going to go straight to hands of refugees from the war torn nations around Greece. Painting faces, in my mind, seemed like surface service but Maria informed us that it is not just to paint a face for fun, but to cover children’s scars and make them feel beautiful. Many of the children that come to the Center are scarred form their journey into the country, as the journey was dangerous. To paint a face is to make a drop, to build their confidence is to make a river and to change their world is to make an ocean. This story truly stuck with me. We are in the middle of this city surrounded by these stories and these people. It is real. At home it is easy to escape these types of problems in the world but to through yourself in the middle and say I am here what can I do to help is the reason I chose this program. I wanted to help others in the company of those I have connections with. Which brings me to my next point. One of my favorite phrases is “MOME”. It means Making Ordinary Moments Extraordinary. This phrase can apply to many aspects of life, but for me, it resonates most with my connections to other people. For example, waiting in the Salvation Army to get on our bus I started singing a song that had been stuck in my head and the girl next to me, who I don’t know too well, started singing along, and it turned into a collaboration of similar songs. We sat next to each other on the bus and talked the whole time. We made a connection. I call that MOMEing. The important thing about MOMEing is that it is a reminder that amongst all the chaos and incredible scenery and activities, sometimes the most important thing you can do is connect with another person and change their day or even life in a positive way. Those are the memories you cannot Instagram or Snapchat but just truly live and be in the MOMEnt. Lets make drops, connections, rivers, MOMEnts, and oceans for ourselves and each other.